The Scorpio Earth Ox sign is one of the most determined people that you will find. If they are set on something, nothing is going to stop them from achieving it. They have a passionate heart so they put their 110% in everything that they have interest in. The SEO signs are conservative so they have traditional values and beliefs. Just like the earth, which supports all things in this planet, these signs are very stable which many people can depend upon. Last but not least, the Scorpio Earth Ox is one of the calmest signs. No matter how extreme situations are, these people are not prone to panic can help restore things back in order. If you need have a job to be completed, they will make sure it is their top priority. 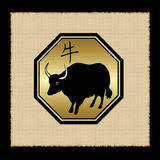 The ox loves to work long and hard, it is something they are accustomed to. On the other hand, the Scorpio Earth Ox can become jealous. They may want full control of their materials and people, so stay true to them or they will sting you back. This sign is obsessive when they have a strong interest in things or people. Once this trait emerges, stay away from taking or fighting against their obsession. The SEOs can sometimes be selfish and will not care for other people’s interest. They are also stubborn so don’t try too hard to convince them that they need to change because the argument may not end. 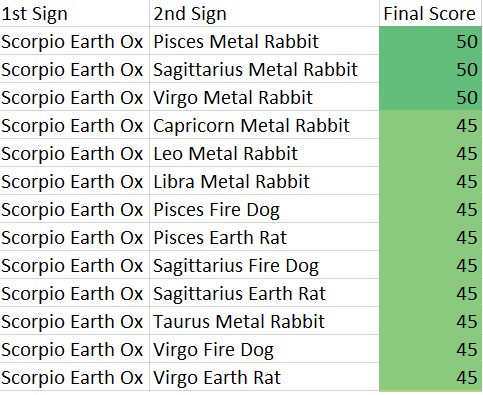 Worst of all, the Scorpio Earth Oxes are bias and may not be able to think reasonably sometimes. Their minds can also be naïve, especially when it comes to love, so don’t try to make things difficult for them to figure out because sometimes the ox is as dumb as it looks.